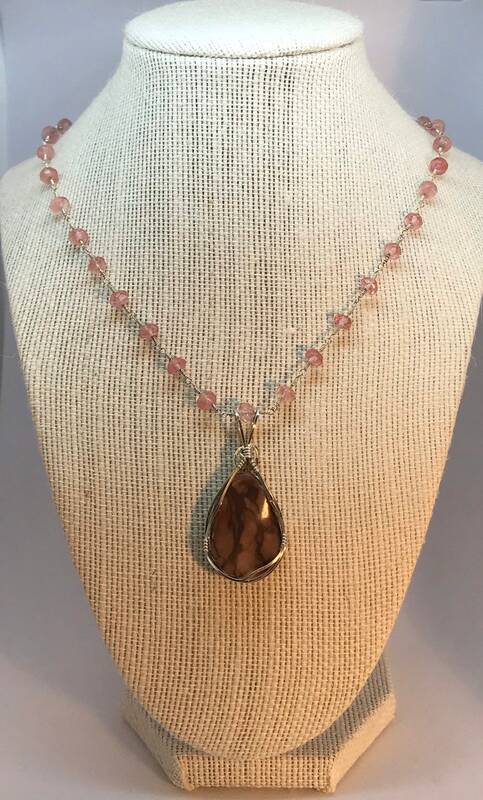 This handcrafted necklace is created with Pink Cherry Quartz 4x6mm faceted rondelle beads and a pear shaped Striped Brown Jasper hand wire wrapped in Argentium Sterling Silver Pendant. The necklace is 18 inches long with a 2 inch extender chain. The pendant is 1-7/8 inches tall and 7/8 of an inch wide.